and was established in November of the year 2001.Vine Images has been voted Burlington's best portrait studio consecutively since 2006. Specializing in Newborn, Pregnancy, Family, Baby, Children, On Location, Pet, Wedding and Engagement Photography. Award winning photographer Julie Johnson and her team of photographers use only the best quality professional digital cameras, lenses and lighting. 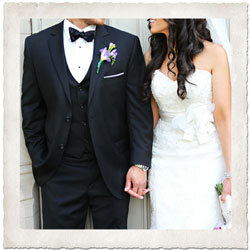 Vine Images Inc. documents weddings in a candid, unobtrusive, style frequently called wedding photojournalism. Vine Images Inc. Julie Johnson Photography is located in Burlington, Ontario, Canada and was established in November of the year 2001. Julie Johnson has been voted Burlington�s best photographer and Vine Images Burlington�s best portrait studio for several years consecutively. Julie has built an enviable reputation for the quality of her work, her caring attitude and innovative ideas as well as her patience with children of all ages. As a mother of three, Julie started by photographing her own children as well as the families of her close friends. Soon after word spread, Julie had many requests from other families for her photographic talents. Creativity, professionalism and attention to detail are the hallmarks of Julie�s work. Julie and her team welcome each client with discretion, good humour and a refreshing innovative flair. Julie Johnson attributes her creative photographic approach to her background in art where she studied how lighting, composition colour and design influence a photograph. She attended a local college for Photography, Digital Imaging and Website Design. Vine Images creates custom and unique portraiture, offers digital images and designs custom photo products (storyboards, cards, gallery wrapped canvases, and coffee table albums. (Burlington, Ontario professional photographer). Julie Johnson and her team at Vine Images Inc. specialize in professional lifestyle and fine art family portraits and weddings. Vine Images serves Burlington, Ontario and the surrounding areas of Waterdown, Oakville, and Mississauga. (Burlington, Ontario family photographer) Vine Images Inc. offers full packages for maternity photos (pregnancy photos), newborn photography in Burlington, Ontario and offers special packages to capture their first year of life. (Burlington, Ontario maternity photographer, Burlington, Ontario pregnancy photographer). If you are pregnant in Burlington, Ontario or looking for a maternity photographer in Burlington Ontario contact Vine Images Inc. to schedule your maternity photos or newborn photos as soon as possible. Spaces for pregnancy photos and infant photos in Burlington, Ontario with Vine Images Inc are extremely limited so book as soon as you have your baby. 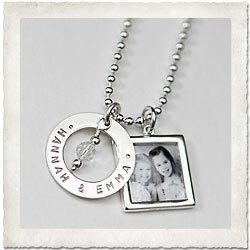 We recommend coming in as soon as possible to capture your baby while he/she is still little. 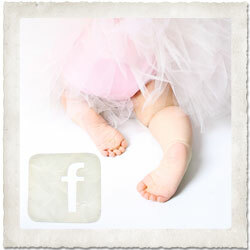 (Burlington, Ontario newborn photographer). Julie Johnson of Vine Images Inc. specializes in portraits of babies and children and pets in Burlington, Ontario and surrounding areas (Burlington, Ontario Pet Photography). Julie Johnson photography offers many packages for your growing child; from a pregnancy newborn package to a MY FIRST YEAR PACKAGE we have you covered. (newborn, six months and at one year sessions) (Burlington, Ontario baby photographer). Vine Images Inc. in Burlington, Ontario is experienced in photographing children, pets & people of all ages and creates portraits that not only you will love, but your family will love also. (Burlington, Ontario child photographer; Burlington, Ontario children's photographer). Julie Johnson loves to capture the essence of children as they really are.